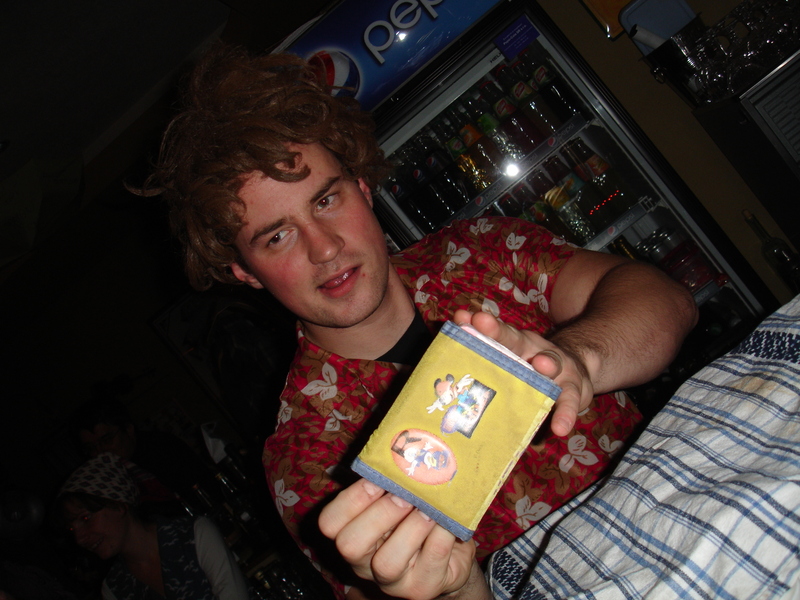 Check out what he holds in his hand: Wallet of their customer! Pali is receiving payment from customer. Her wallet! Customer of Groteska Cafe, just placed her orders and then she sent her wallet to guys, so they can fetch from it exact amount she suppose to pay! This is what I call trust in business! Such “small things” are like breaths of a fresh air for me. That is why I believe in Slovakia! We have beautiful people here. would you give away your wallet to pay your bill? What other examples of trust in business have you experienced? 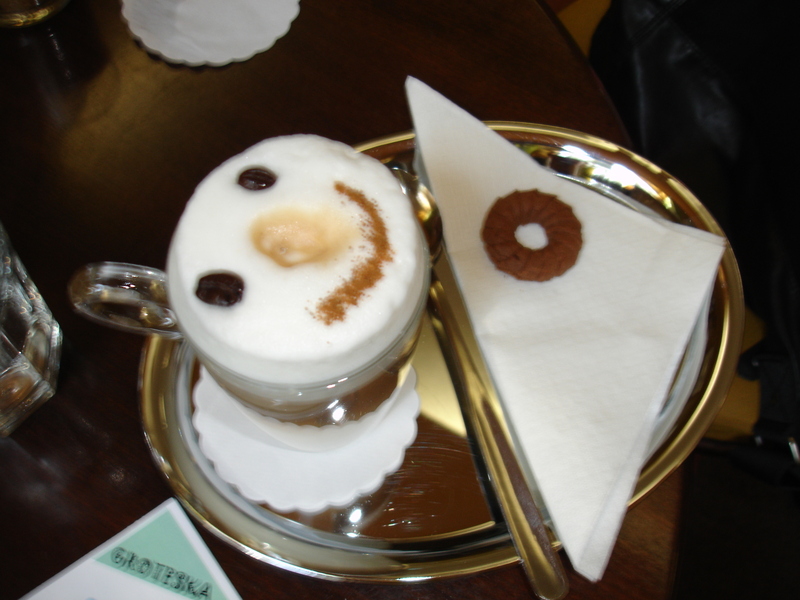 I will certainly visit super cool folks in Groteska Cafe. Trust is something which is hard to transfer and takes time to build. Trust in communities and others is something which society has lost during the industrilisation. For industrialisation to succeed trust needed to be transfered from those around them to institutions which supported the framework, e.g. banks ( no one needs to explain how bad a judgement that was). I loved the best part: For industrialisation to succeed trust needed to be transfered from those around them to institutions which supported the framework, e.g. banks ( no one needs to explain how bad a judgement that was). I was moving to Bratislava for job on 2nd of November. My girlfriend found the flat for us and we were supposed to move in and pay the first rent there on spot on the evening of 2nd November. We were agreed that one Erasmus guy – Yigal – will move in with us. When we were going in the flat, we realized, we misunderstood each other and that Yigal only wanted to check out the flat still… Well that put us in very bad position – we needed to pay full rent and his share (260 EUR) we did not have. After a long discussion of me and my girl we finally decided to ask Yigal to borrow us the money for that moment to be able to pay and actually move in the flat. He said: “Fine, no problem!” Nothing more. An awesome moment for me. To understand – we DID NOT KNOW EACH OTHER. Yigal moved in Bratislava to some dorms some 3 weeks prior that day from Israel. He had seen us that day 2nd time. And he wanted to borrow us 260 EUR without any backup, any security and most importantly WITHOUT ANY DOUBT that we would give it back. In the end we more-less forced the guy to write a “confirmation” that we had taken the money and that we would give it back to him in 10 days. Based on this, I believe the trust is also a cultural issue. Who of us would lend that much money to a foreigner to him/her, being new in new country, not knowing the habits? Well, many people would say it’s crazy. I believe it’s beautiful. Thank you Yigal! Well, I am pretty delighted that you have experienced this demonstration of trust. I was lucky enough, that I have lived in Dubai and believe me I had tons of experiences like that! Remember it and act like that too, no matter of environment you live in. Slovakia needs to wake up from this “why should I care” attitude! And I cannot imagine to live otherwise, than to serve. Really glad to know this, also loved the story of Marek.